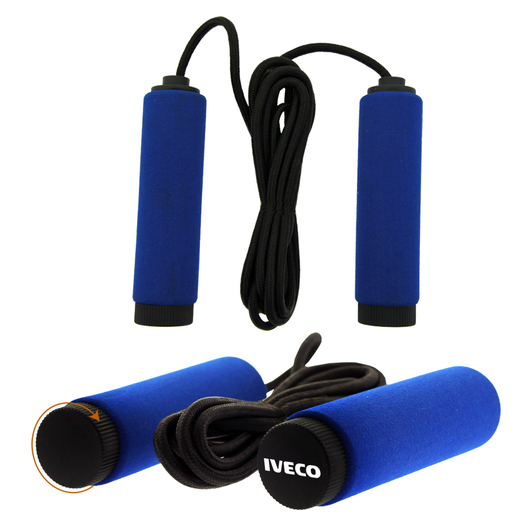 Increase your agility and strengthen cardio fitness with our amazing jump rope! Help improve your speed and endurance with the use of our high quality jump rope! It measures 259cm in length and it is cushioned with EVA foam handles for a comfortable grip. The jump rope is adjustable to your desired length. Great for athletic use either indoors or outdoors.